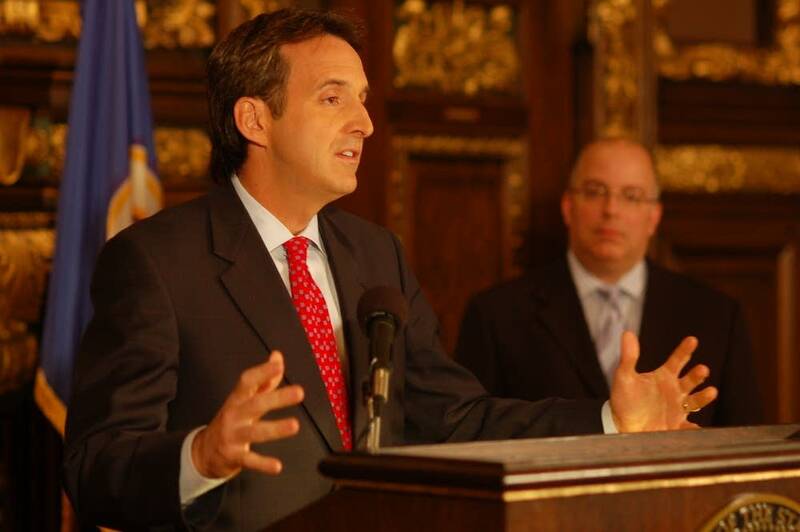 St. Paul officials: What does Pawlenty have against us? For the past week, lawmakers have been urging Gov. Pawlenty to use his line-item veto authority to trim the total cost of the bonding bill to his preferred size. Pawlenty took them up on that suggestion, making cuts that went deeper than lawmakers -- especially St. Paul lawmakers -- would have liked. After using his line-item veto authority, the size of the bonding bill went from $925 million to $717 million. "One of the things that I'm very disappointed the Legislature did not do is say no," said Pawlenty. Pawlenty said most of the vetoed projects had merit, but he said the state had to keep spending in check. He did, however, single out one project that he charactized as a mistake -- a brass band music lending library in Chatfield. He said he would have preferred to see lawmakers spend money on a nursing facility at the Minneapolis Veterans Home instead. Pawlenty's largest cuts were aimed at transportation and Met Council projects. Chief among them was $70 million for the Central Corridor light rail line between Minneapolis and St. Paul. Pawlenty had requested funding for the line in his original bonding plan, but said he had concerns about the project. At times during a media briefing, he indicated he was done negotiating the bonding bill for the session. But at other times, he suggested that he would be open to another bill depending on the status of budget negotiations. "What happens to Central Corridor will rise and fall depending on how the Legislature deals with our overall budget challenges," Pawlenty said. "Whether they're willing to be fiscally disciplined, and whether they're willing to address some of our other priorities that the state needs to address." Pawlenty said there was no personal message in his line-item vetoes, but St. Paul lawmakers don't see it that way. 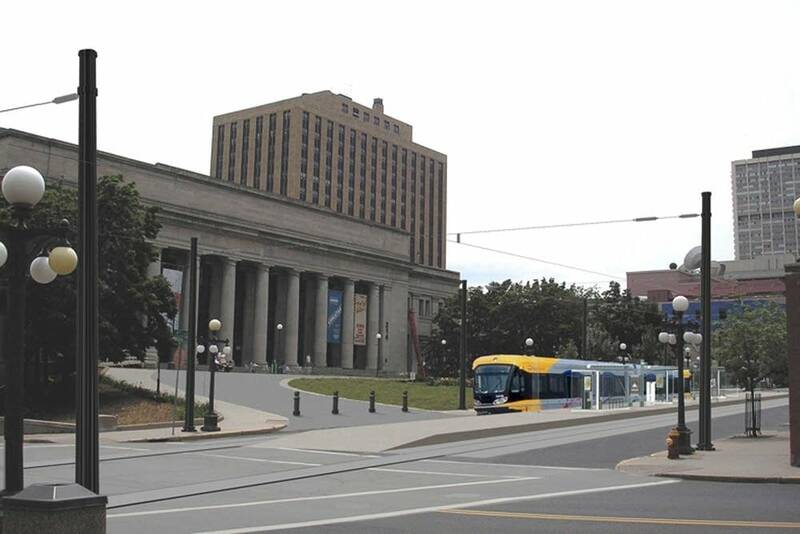 The governor vetoed funding for several major projects in St. Paul, including the Central Corridor, $11 million for the Como Zoo, $24 million to construct a new home for the Bell Museum on the U of M's St. Paul campus, $2 million for St. Paul's Union Depot, and other projects in the Capitol city. DFL Sens. Sandy Pappas and Ellen Anderson said Pawlenty was playing political games. "What does the governor have against St. Paul? What have we done?," Pappas asked. "This is just a blatant attack on St. Paul and its residents, I think, and on Alice Hausman and her constituents," added Anderson. 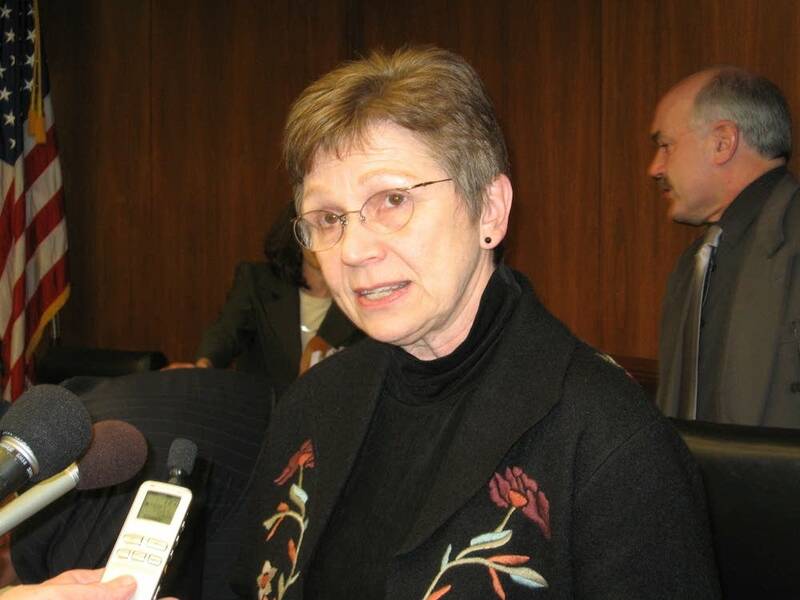 DFL Rep. Alice Hausman is the lead bonding negotiator for the House and is from St. Paul. She attended the governor's briefing, but left before it ended. The governor praised Hausman during his briefing for being willing to lower the total cost of the bonding bill. He said DFL Sen. Keith Langseth was more inclined to spend more. That being said, DFL House Majority Leader Tony Sertich of Chisholm said the vetoes reflect what he sees as a disturbing trend of Republican leaders punishing those who disagree with them. Sertich said the vetoes were a direct personal attack Hausman and the city of St. Paul. "His political party is coming to St. Paul later on this year, and we want to showcase this great Capitol city and this great state. And what he did to the city of St. Paul in this bill is disgusting in my opinion," Sertich said. "Virtually vetoed every single project in the city of St. Paul, and we shouldn't stand for that." Sertich said it's too soon to know whether the House will try to override any of the line item vetoes, or offer a second bonding bill. Sen. Langseth said he isn't certain he would be willing to craft another bill, but would encourage override votes on the vetoes. The governor, who had his veto of a transportation funding bill overridden earlier this year, said he was certain every one of his line-item vetoes would be sustained. The governor preserved funding for local arenas in Crookston, Duluth, St. Cloud and Bemidji. Mankato was the only city to lose funding for its perfomance arts center and women's hockey arena. The governor's action comes at a time when lawmakers are getting ready to negotiate their differences on a budget balancing plan. The state is facing a $935 million projected budget deficit. Republican House Minority Leader Marty Seifert said DFLers need to start working with the governor. "At the end of the day, they need to acknowledge that there's a governor in this state -- and they're not willing to do it," said Seifert. "I don't think it's personal as much as it's -- just get serious about crafting legislation with the governor, instead of saying 'We're going to do our own thing, and too bad.'" Lawmakers have until May 19 to reach a deal on a budget bill, and possibly pass another bonding bill.